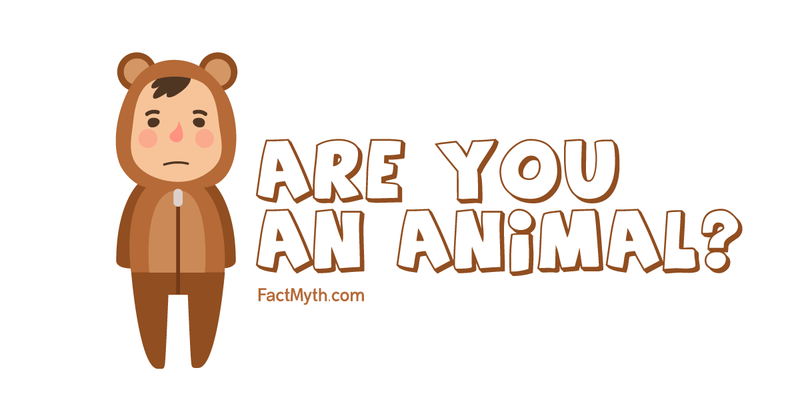 Humans are Animals - Fact or Myth? The Welfare Traps, Tax Traps, and Debt Traps Aspects of Daily Fulfillment The Basics of a Theory of Knowledge How to Avoid Confusion and Clarify Semantics by Speaking “in Terms of” and “in Relation to” Casually Explained: Evolution Giving Names to Concepts The Importance of Principles The Virtues of Political Correctness How to Understand the Politics of the Climate Change Debate What is Reason? Biologically, humans are best classified as animals. Are Humans Really a Type of Animal? FACT: In simple terms: When we say humans are animals we mean we aren’t plants or algae. When we say humans are mammals we mean we aren’t reptiles, birds, or insects. What Do We Mean By Animals? Scientists classify life in a few different ways, putting aside simple and single celled organisms like bacteria, one simple way to classify all life forms as animal, plant, fungi, or algae (red and green). On a cellular level plants, algae, fungi, and animals are all made of complex cells called eukaryotes which have mitochondria in them. Plants and [most] algae also have chloroplasts in their cells, yet fungi and animals don’t. We can be very certain that humans are not plants or algae with chloroplasts from our cells on up. We can prove this biologically, or we can use reason. So that leaves Fungi (and technically some odd algaes). Funnily enough, fungi and animals have a lot in common. With that said, we don’t have to go into details to realize that we fit better in the animal kingdom than “the mushroom kingdom.” Thus, we as humans, in terms of classifications based on defining features, are a type of animal (an animal of the species mammal specifically). NOTE: The video below describes the concept of humans being animals by asking, “Are you animal, vegetable, or mineral?” A mineral being a catch-all for non-living elemental based forms. Are humans animals? Good question, double check you aren’t a plant or mineral and get back to us. What Do We Mean By Mammal? Mammal, coming from the Latin word for “breast”, describes a kind of animal that has hair, breasts, a neocortex (the part of our brain dealing with conscious thought and language), and some other unique properties like three middle ear bones and a four chamber heart. In short, we know humans are animals, and we know we aren’t spiders, insects, reptiles, or birds… So we are mammals. This is essentially true, but it is of course a bit more complex than that. How Else Can We Classify Humans? So we know humans are mammals, but what type of mammals are we? From the Kingdom Animalia (i.e. Animals). From the Class Mammalia (i.e. Mammals). From the Subclass Theria (give live birth to young). From the Infraclass Epitheria (also referred to placental, because mothers carry unborn children nurturing them via the umbilical cord and placenta). From the Family Hominidae (which includes humans, greater apes, lesser apes). NOTE: Wikipedia lists the Suborder: Haplorhini and Infraorder: Simiiformes. The terms order/class are interchangeable. What Do Evolutionarily Biologists Believe? Evolutionary biologists believe that we have genetically evolved from other animals; this is roughly where the classifications of different animal types come from. Generally, the closer in the class an animal is the closer relative they are. Scientists don’t just believe this based on Darwin’s ideas, they believe this from studying cells and DNA, which show similarities that would be expected based on the theory of evolution. Many also believe that all animals genetically evolved from single celled organisms. They believe all organisms are made of quarks, which make atoms, which make molecules, which make elements, which make us. They also believe that energy can neither be created nor destroyed. It has always, and will always exist. What are the Differences Between a Human and an Ape? Humans and apes are both hominoids and have a lot of things that make them the same like language, communicating, making or using tools, learning, emotion, and more. Humans have a few unique traits that make them different than any other animal including apes. A look at the difference between humans and other animals from the Royal Institution. Our ability to use language and written word to advance knowledge intergenerationally. Our ability to use critical thinking and morality when making judgment calls. For instance a human might think, given the above, eating mammalian muscle tissue (meat) is morally wrong and decide to get the bulk of their nutrition from soybeans. This may be true even if that person doesn’t like soybeans and has to order them from Amazon by communicating with a call center in India. A monkey would probably not take these actions. Although to be fair, the monkey isn’t a meat eater in the first place. Below are the author’s opinions on how to reconcile what we know about evolution with belief systems. What if Evolution Conflicts With My Belief System? Aside from being at odds with very specific beliefs, evolution does not in anyway contradict the majority of beliefs in major religions or spirituality. The first page of the Old Testament all but explains evolution from the Big Bang until our first ancestors and other creation stories are similar. The Tao te Ching does the same thing. The iChing essentially works like quantum mechanics. Generally, the only things that actually conflict with evolution is people’s specific interpretations of their religion. A spiritual person looks at how morality is unique to humans. If you feel that you need to know humans are separate from apes, then you are in luck. We have no time machine to prove we evolved from them. We have no time machine to prove that universe wasn’t created yesterday. Reality could be a computer program. We could be in the Matrix. Indeed, we can’t prove fully anything that happened in the past. So we can always just say God made the universe 6,000 years ago to look like it looks today and placed humans and apes and all life there; that life all looks like it evolved from each other because that is just what God wanted. It’s just as plausible that God ignited the Big Bang with full knowledge of the outcome over billions of years. Einstein believed in God and no science yet has provided definitive proof of the non-existence of God. There is all the room in the world for faith and science today, just like there has always been. Humans are animals. Semantics aside, there is no rational argument to be made otherwise considering what we know about biology. “Mammal classification“. Wikipedia.org. Nov 24, 2015. We are just too complex to be considered Animals. Sorry Biologists, there is sincerely proof of God sooooooo. The fact that we are animals and the idea that there is a a God are not mutually dependent ideas. We are animals according to the way lifeforms are categorized AND, as an unrelated note, many people believe in God and attempt to prove the existence of God. One subject is the categorization of material things… the other is a thing of theology and ontology. Both are valid, almost pointless to try to argue for an apple by arguing against an orange though. i’ll go with what god says instead of some half cocked weird atheist scientist that hates himself and the world and has zero concept of morals or right and wrong. we don’t need all this stuff, just read the bible and see what it says about the world. Animal is a classification, a category that man created to classify living complex things with a specific cellular makeup (as described in the article). If a thing is not fugi, plant, algae, bacteria, but it is alive, then it is animal. Doesn’t conflict with the Bible as I know it. As to the question “what do evolutionary biologists believe?”…. well this is good to know despite your belief system. To understand what others think is part of a well rounded education, even the Pope takes the time to understand what others who have different beliefs think and what science (or other system) they use to back up their claims. In short, I do not find it necessary or helpful to go on the attack against a system of categories due to your belief system. There maybe some similarities between animals and humans but since animals lack critical thinking skills (the most important trait) I believe humans just fit in their own separate category as Humans. I disagree with the evolution theory since humans existence shouldn’t be based on the existence of animals. It is more credible that God created life since in spite of the advance in technology scientists arent able to decipher how the human body works. Specifically the neurologycal system. They have no answer to many questions (the universe, illnesses, cure, human brain…)in spite of their efforts. Humans are animals,There’s no way were plants so, that narrows it down,My cousin thinks humans ARENT animals because we do not have 4 legs,like 20 different eyes. 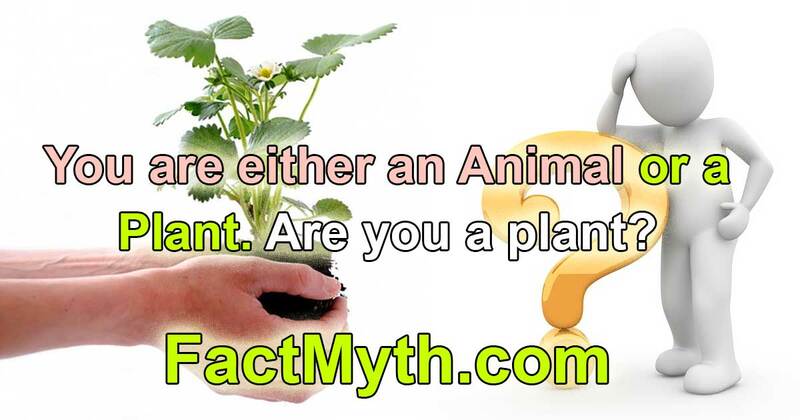 If you aren’t a vegetable or mineral, you just might be an animal. That is the overly simple version, but essentially it is also the simple truth. The long answer is explained above. If we are not a rock, nor a plant, then we are animal. It’s really not that complicated. Humans are animals. The classification of living organisms is NOT just a grammatical means of classification. It is now based on genetics which proves we are RELATED TO other animals. The belief in a god has nothing to do with genetics or the classification of living organisms. There is no proof there is a god but there is no proof there isn’t a god. The Vatican accepts the existence of one god, believes in the Bible, and accepts Darwin’s Theory of Evolution.